THIS YEAR, 2016, is the 100-year mark in a fantastic story — that of the US National Park Service. It’s a story that actually stretches back even further, to great American conservationists like President Theodore Roosevelt, who understood that our wild places are worthy of protection. Thanks to the work of these trailblazers, on August 25, 1916, a federal agency was created to manage the handful of national parks that existed at the time, along with the many that have since been designated. Every time you go out and enjoy one of our national parks, you’re benefiting from this legacy. To celebrate the first 100 years of our national-park story, the NPS has launched the Find Your Park movement. Supported by Centennial sponsors like Subaru — a company that’s also guiding the parks toward Zero Landfill status — Find Your Park encourages all of us to get out and explore our incredible national lands. And there’s a whole lot to explore, not just across the country and the world, but across the century of NPS history. 1. There are 413 properties in the National Park System. Surprised by that number? The National Park Service manages a wide variety of sites in its mission to preserve areas of natural, historical, and cultural significance to the United States. Although 59 of these public lands (like Yellowstone, Yosemite, and the Grand Canyon) have “national park” right in their names, the other 354 national monuments, national seashores, national historic sites, national memorials, national battlefields, etc., under the umbrella of the National Park Service are considered national parks all the same. 2. US national parks can be found in all 50 states — and across the globe. These amazing places stretch much farther and much wider than most Americans realize. Overseas US territories and the far reaches of some states have made way for national parks in the Southern Hemisphere, the Eastern Hemisphere, north of the Arctic Circle, and scattered throughout the Caribbean. There’s National Park of American Samoa, War in the Pacific National Historical Park in Guam, American Memorial Park in the Northern Mariana Islands, Cape Krusenstern National Monument and Gates of the Arctic National Park and Preserve in Alaska, and Virgin Islands National Park — just to name a few of the outliers. 3. You can’t reach all of them by car. Most national parks are easily accessible, but many in Alaska can only be accessed by bush plane. Similarly, you’ll need a seaplane or boat to visit Isle Royale National Park in Lake Superior and Dry Tortugas National Park, about 70 miles off the coast of Florida’s Key West. And, of course, all of the island parks in the Caribbean Sea and Pacific Ocean require transport by air or sea as well. 4. The president lives in one. On the flip side, many national parks can be found in major cities, such as Statue of Liberty National Memorial in New York Harbor and Golden Gate National Recreation Area in San Francisco. In Washington, DC, the White House is part of President’s Park, meaning that every president except George Washington has lived in what’s now considered one of our country’s national parks. 5. They represent our nation’s physical extremes. Denali, the tallest mountain in North America, towers 20,310 feet above sea level in Denali National Park and Preserve. In the lower 48, Sequoia National Park’s Mount Whitney is the tallest peak, measuring in at 14,505 feet at the summit. Just 85 miles away, Death Valley National Park contains North America’s lowest point: Badwater Basin, sitting 282 feet below sea level. In Kentucky, Mammoth Cave National Park lives up to its name as the home of the world’s longest known cave system, encompassing more than 400 miles of passage — about the distance between Chicago and Nashville — mapped so far. Also below the surface, the deepest lake in the US can be found at Crater Lake National Park, which reaches 1,943 feet or so at its deepest point. And on New Year’s Day, you can experience the nation’s first sunrise of the year atop the summit of Cadillac Mountain in Maine’s Acadia National Park. 6. You might not have ever heard of our largest national park. In southeastern Alaska, Wrangell-St. Elias National Park and Preserve clocks in at 13.2 million acres — so big, you could fit nearly six parks the size of Yellowstone inside of it. The smallest? Thaddeus Kosciuszko National Memorial in Philadelphia, at a mere 0.02 acres (it’s a single building). 7. All of the glaciers in Glacier National Park are shrinking. In 1850, the park contained approximately 150 glaciers, and many of the 25 that remain are fractions of their former selves. If the current rate of climate-change-induced warming continues, scientists predict all of these glaciers will disappear by 2030. 8. America’s national parks are tackling pressing environmental problems. With a front-row seat to the visible, far-reaching effects of climate change and ecologically unsound development practices, many national parks prioritize environmentally friendly strategies in their long-term and day-to-day work. 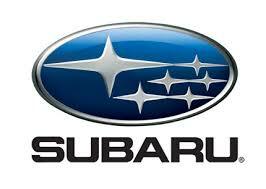 In an effort to reduce landfill waste, for example, the National Park Service is partnering with Subaru. The nation’s first zero-landfill automaker recycles or reuses all waste generated in the manufacture of its products. Now, their Zero Landfill initiative has resulted in pilot programs in Yosemite, Grand Teton, and Denali National Parks to test different zero-landfill practices in hopes of implementing them in every national park. Want to learn more? Visit the Zero Landfill site and find out how you can help the national parks reach zero-landfill status. 9. One national park used to be a leper colony. In 1866, the Kingdom of Hawaii established an isolated area for residents with leprosy on the remote Kalaupapa Peninsula of Molokai Island, essentially leaving them there to fend for themselves. Drugs to cure leprosy arrived in Hawaii in 1946, eliminating the contagious aspect of the disease and the need for isolation; in 1969, the quarantine laws were abolished. However, some patients chose to stay on Molokai, and a few remain today. The National Park Service established Kalaupapa National Historical Park on the peninsula in 1980 to preserve this landmark. The site is also the only National Park Service unit associated with a saint: Father Damian, a Catholic priest who cared for the patients at Kalaupapa from his arrival in 1873 until his death from the disease in 1889. 10. Many of the most interesting national park features are underwater. Millions of National Park Service acres lie beneath the waves, including the underwater geysers in Yellowstone Lake, the coral reefs of Dry Tortugas, and the shipwrecks of Biscayne National Park. Virgin Islands National Park even features a 225-yard-long underwater snorkeling trail at Trunk Bay. 11. To celebrate the National Park Service’s 100th birthday, they’re letting you in for free. In honor of the NPS Centennial, you can visit any national park site for free on these 16 days in 2016. But don’t worry if you can’t make a trip on one of these days, because 286 of the 412 NPS sites don’t ever charge admission. If you plan to visit lots of national parks and federal recreational lands over the next year, however, your best bet is to buy an $80 America the Beautiful annual pass, which covers entrance and standard amenity fees for more than 2,000 federal recreational sites. Last year’s fourth graders and their families can visit these federal public lands for free through August 31 via the Every Kid in a Park program, and rising third graders can get their fourth-grade passes starting September 1. Others who can receive free or discounted passes include current US military members and their dependents, seniors, Americans with permanent disabilities, and volunteers who pitch in 250 or more volunteer hours to federal public lands per year. This post is proudly produced in partnership with Subaru.